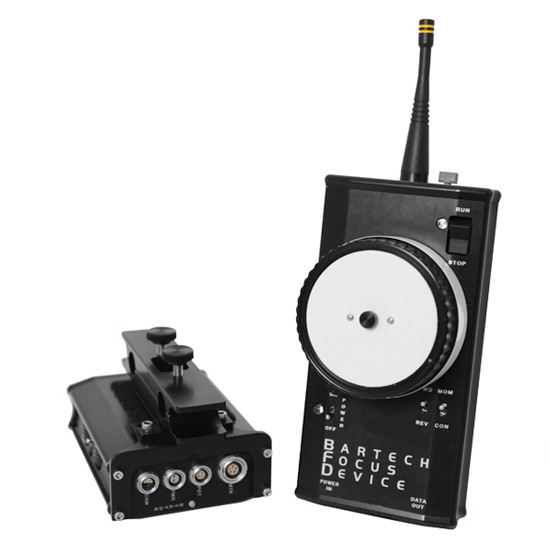 The Bartech Focus Device was created to fill the need for a powerful and accurate wireless follow focus system that was also affordable. It was designed to be as compatible as possible with existing lens control systems (Seitz, WRC-4) and motors (Heden, CPC) to allow operators with existing systems to upgrade to superior performance with a minimum of expense. 19-15mm rod adapter @ 3/4"